Made from almost indestructible plastic. 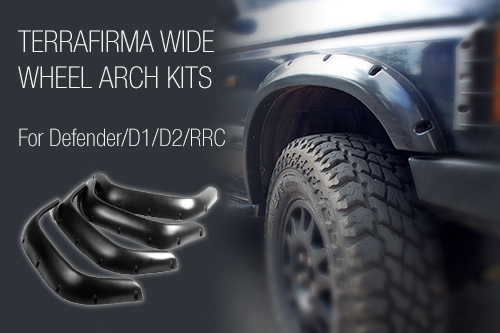 These Discovery wheel arches are a full 2"" wider than standard. The kit comes complete with all screws, plastic screw caps and edging strips. They are straight forward to fit very neatly, simply align the new wheel arches in place, mark screw holes, drill and fix.